Understand the physical mechanisms governing the dynamics of astrophysical plasmas at every scale using numerical, analytical and experimental methods. Our team is dedicated to solving fundamental problems related to the physics of astrophysical plasmas. These problems are transverse to many other teams in our department. We investigate the dynamical consequences of gravity, pressure, magnetic and radiation fields in astrophysical objects as diverse as star-forming molecular clouds, protoplanetary disks and supernovae. Our methodology is based on physical processes, as opposed to a more traditional “per-object” break-down. To achieve our goals, our team uses the complementarity of computer simulations, analytical methods and laboratory experiments. Our team includes world-experts in computational astrophysics, with a strong expertise in magnetized and radiative fluid dynamics and parallel computing. We have developed our own computational tools, with general-purpose codes such as RAMSES, DUMSES and HERACLES using original Godunov schemes to solve the equations of ideal MHD and radiation hydrodynamics. The tradition for a strong mathematical background in our team has also been instrumental to reach an analytical understanding of a series of astrophysical processes associated to wave interactions, instabilities and turbulence. Finally, one original aspect of our research is to make extensive use of laboratory experiments to study astrophysical plasmas, from high-energy lasers to study radiative shocks and measure opacities, to shallow water experiments to study the dynamics of supernovae. We created in 2007 a transverse project inside IRFU in order to structure activities in computer simulations. 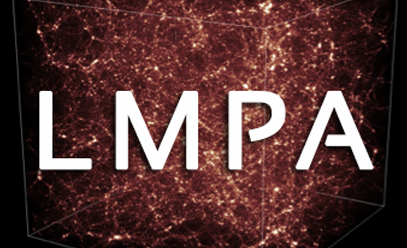 The project COAST (COmputational ASTrophysics) gather members of the LMPA team but also members of other teams who share the same tools, computer equipments and meetings. A small group from the Computer Science department at IRFU is also part of the project, providing support for data visualization, parallel computing and code development, web page and movie editing, and the creation of a web based platform to share numerical simulations.